In September of last year this weblog posted a review by Neil Wilkof of US patent attorney Larry M. Goldstein's book True Patent Value (the details of which you can check out here). 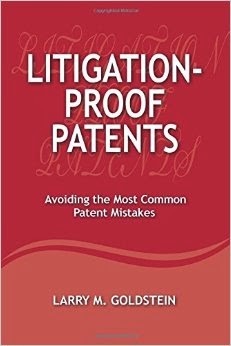 A little over a year later, the same author announces the launch of his new book, enticingly entitled Litigation-Proof Patents: Avoiding the Most Common Patent Mistakes. This book, which is so hot off the press that the ink is still drying, will be reviewed in due course on this weblog. 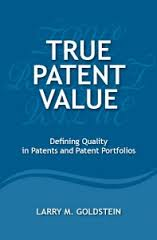 Together with True Patent Value, Litigation-Proof Patents is part of the author's Patent Quality trilogy, the third volume of which -- Patent Portfolios: Quality, Creation, and Cost -- is promised by the author to be coming soon.
" ... explains the principles of excellent patents, presents the ten most common errors in patents, and details a step-by-step method for avoiding these common errors. Specific patents are analyzed and shown to commit or avoid the most common patent mistakes. The book includes four chapters. • First, a step-by-step process for writing outstanding patents that capture all the innovative points of an invention and that avoid the most common patent mistakes. • Second, principles of litigation-proof patents, including characteristics of good patent claims, Key Claim Terms, patent value, seminal patents, and tips for writing patent applications. • Third, the ten most common mistakes that appear frequently in patents, and that destroy both patent quality and patent value. • Fourth, five patents that illustrate the concept of “litigation-proof patents”. 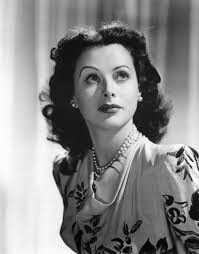 These patents include the Hedy Lamarr frequency hopping patent from World War II, the patents for the board game Monopoly®, and the “slide-to-unlock” mobile phone patent that Apple asserted against Samsung ..."
This book is addressed to (i) anyone writing a patent who wants to achieve the highest-possible quality, (ii) patent evaluators who want to understand whether patents being reviewed suffer from value-destroying mistakes, and (iii) patent managers and heads of IP departments who are managing significant patent portfolios and want to understand the relative quality of their portfolios.